President elect, Emmerson Mnangagwa’s international re-engagement efforts could be thrown into disarray following remarks by the Zimbabwe Liberation War Veterans Association (ZLWVA) who accused Britain and the United States of extending sanctions on Zimbabwe as well as working with the opposition MDC Alliance. Mnangagwa who took over from former President Robert Mugabe last November through a military intervention has been on a global offensive to market Zimbabwe as a safe destination for investment while projecting himself as reformist keen to depart from his predecessor’s vindictive politics. 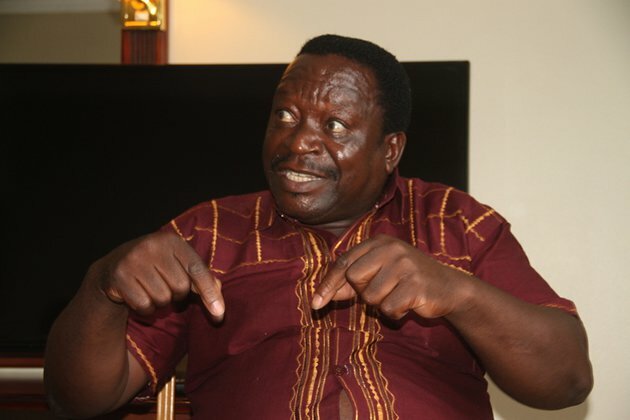 However, addressing the media in the capital today, ZLWVA Secretary General Victor Matemadanda slammed the United States for extending sanctions on Zimbabwe. “We have not forgotten that America enslaved Africans using our people against each other and creating Uncle Toms. “Just as America respect the views of their founding fathers they should never imagine that we as Zimbabweans will lose sight of the ideals that we fought for. This is why we removed Mugabe,” said Matemadanda. He charged that Zimbabwe cannot be taught democracy by the Western countries adding that the country can survive without economic super powers. “We can do without those who previously oppressed us as long as they still hold those oppressive tendencies. The British also need to be very clear, on whether they now want to reengage us as equal partners or not. “We have applauded the positive indicators made by Theresa May but lately Britain seems to be drifting back to their former position of Tony Blair,” said Matemadanda. “Our democratic system is different from that of America because we fought for our freedom from America and Europe. These are the same people who killed us for demanding one person one vote. We are not fooled that they would all of a sudden wake up to be the champions of our democracy they don’t care about our freedom; all they care about is their own interest,” continued Matemadanda. The war veterans also turned tables against their founding father, former President Robert Mugabe charging that he betrayed the ideals of the liberation struggle hence his name must be removed from the Robert Gabriel Mugabe International Airport. “We will demand the removal of Robert Mugabe’s name at the Harare International Airport. Mugabe has failed,” he added. In its response, the MDC described Matemadanda’s press briefing as ill-conceived, reckless and irresponsible. “The MDC Alliance is not moved by such grandstanding and empty threats by an illegal grouping of charlatans bent on confusing court proceedings and shattering the dreams of the people of Zimbabwe. They do not want a fair hearing of the MDC Alliance electoral petition,” reads part of the statement.